Thank you for signing up with BuyaBiz! The buyer membership is absolutely free and has no obligations on your part whatsoever. 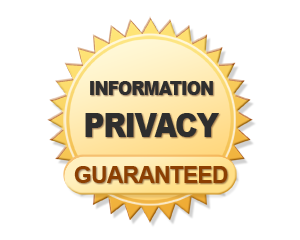 We would like to reassure you that BuyaBiz.com keeps all information you enter here strictly confidential. We do not in any way release this information to anyone – PERIOD. You are in complete control on how to be contacted by the brokers who have listings on or may add to this site going forward. You control this by setting the interest settings below as to what type of business you are looking for and how much you feel you can spend. Being accurate as possible will greatly enhance your experience when searching for a business. It is our strong recommendation that you seek the assistance of a broker when considering the acquisition of a business as it will greatly improve your odds of success both with and unforeseen events which could arise during such a transaction. Provide My Information to Sellers - If you select this checkbox, your information will be provided to sellers if your interests match any of their listings, including e-mail address, name, and phone number. If you do not select this checkbox, sellers will only contact you when you indicate an interest in a listing by filling in your information on a listing. At no other time will your information be provided to a seller unless you specifically contact them. Notifications - Select Individual Listing if you want an e-mail for every listing when it is added and/or updated that matches your criteria. Select Report if you want a report sent to you at whatever Notification Frequency you selected of listings that have been added and/or updated that match your criteria. Select both if you want both. Notification Frequency - select how often you want to be sent updates of listings that match your criteria. If you selected Individual Listing in the Notifications, then this selection will not be applied. If you selected Report or Both, then the Report will be sent as selected.